We have a wide array of books and DVDs on the topic of vegan diet. 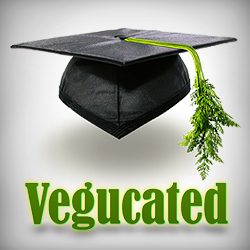 Get Vegucated on December 4! The China Study Cookbook is here! Simply Raw: Reversing Diabetes in 30 days screening of an independent documentary on Thursday, May 9 at 7 pm in the Stevenson & Hunt room, Central Library. FREE, no registration required. Is it possible to reverse diabetes?....in...30 days? Dr. Gabriel Cousens and his team made an experiment.